Spacing3 - 5 feet between plants, 5 - 8 feet between rows. FruitLarge 16 - 20 lb. watermelons with sweet, juicy, deep red flesh. Soil RequirementsLight, rich, well-drained, sandy soil. 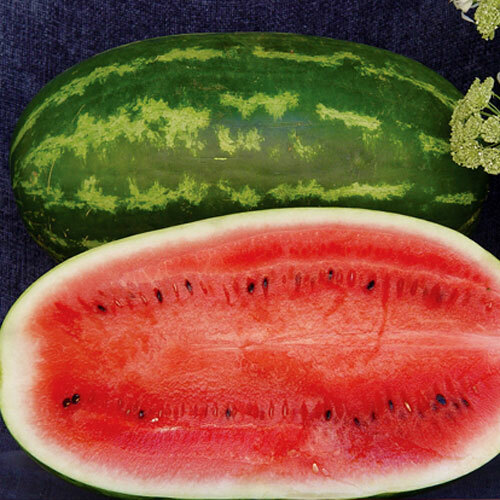 CommentsThis high yielding, elongated, seeded watermelon makes a great pollinator for seedless watermelons; has a great storage ability and heavy fruit set potential.